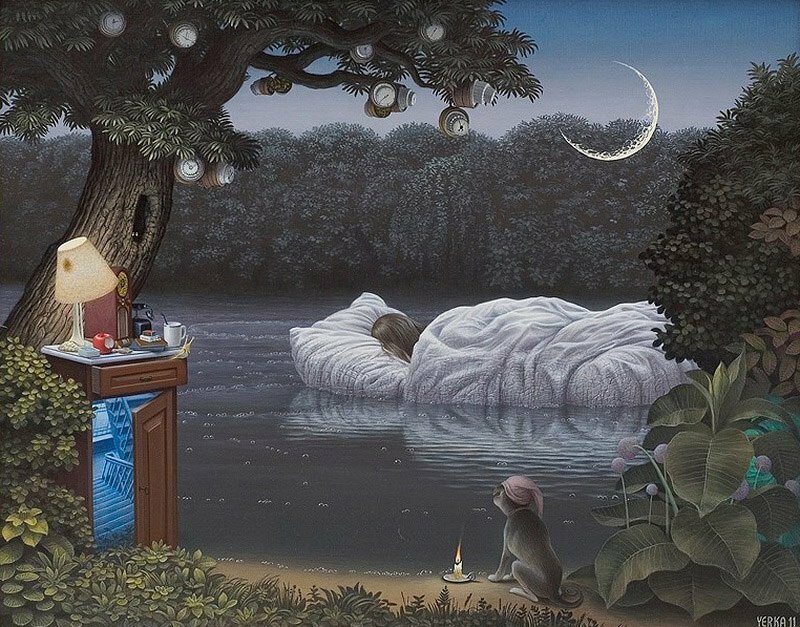 Yerka Jacek @Jacek - Yerka @- alias Jacek Kowalski @- in the early works of the author you can see the letter" K", in later works there is a signature" YERKA". 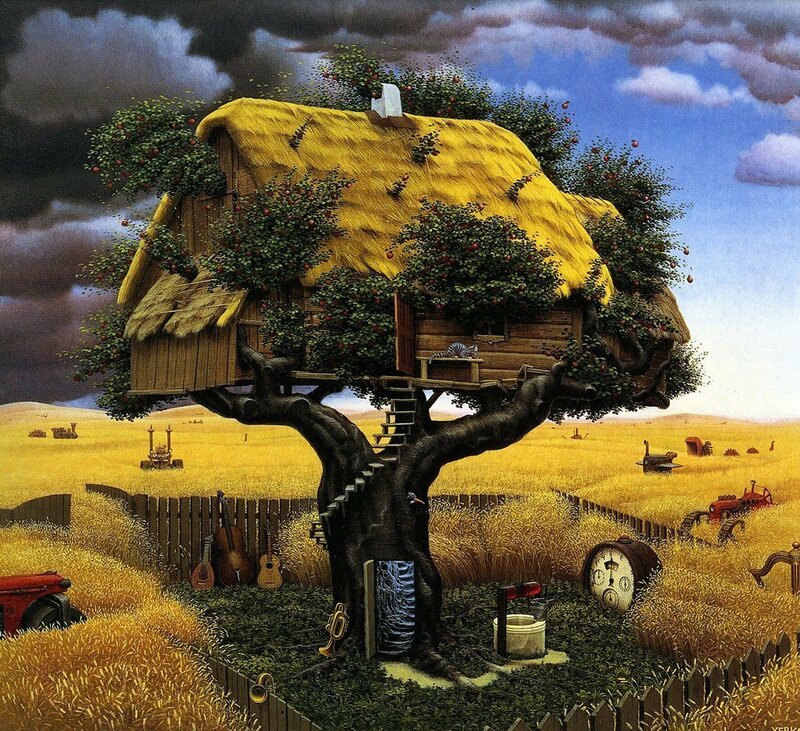 Jacek was born in Northern Poland in 1952. 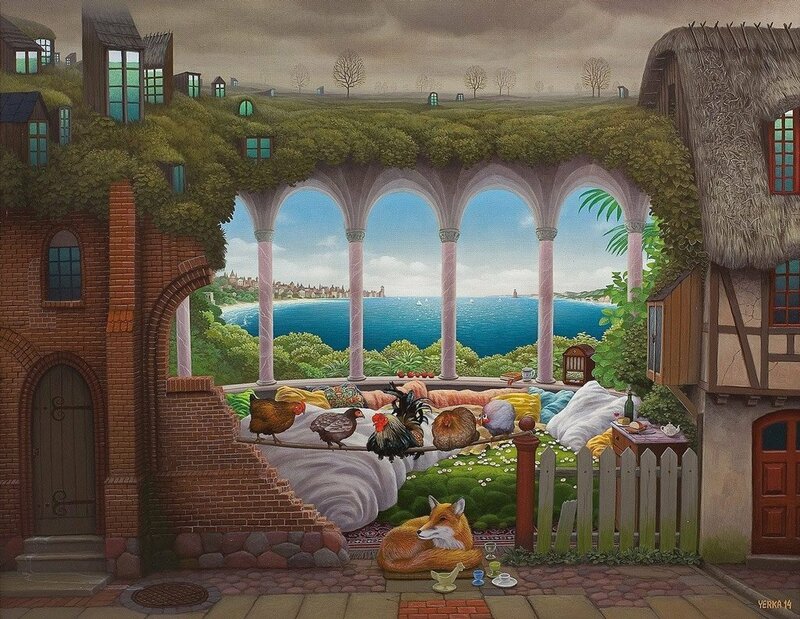 The future artist grew up surrounded by medieval architecture, miraculously survived the bombing during the second world war. 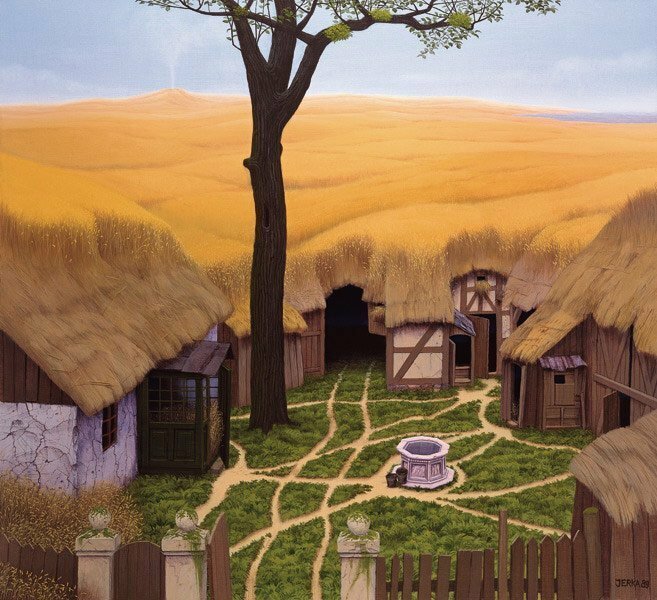 Surroundings of the house and kitchen of the grandmother, where young Jacek spent a lot of time, had a huge impact on the artist.
" 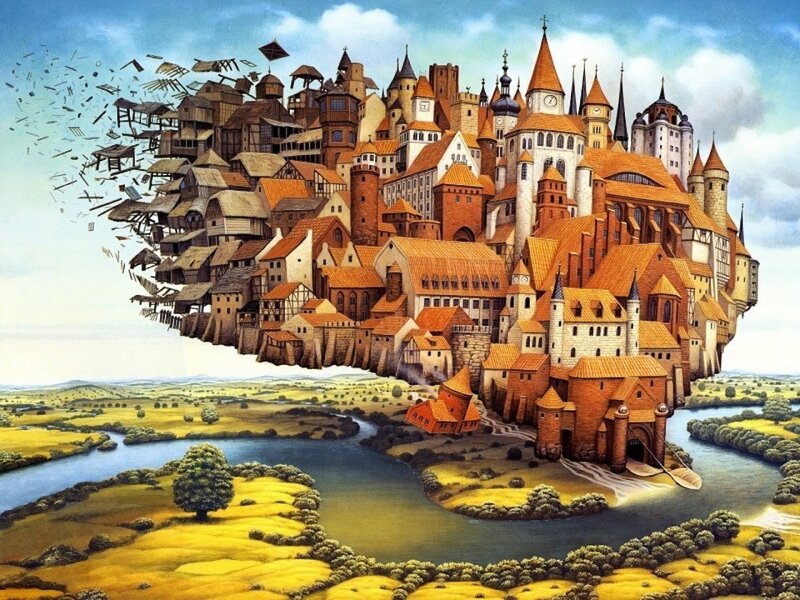 Мне think 50-ые was a sort of Golden Age. 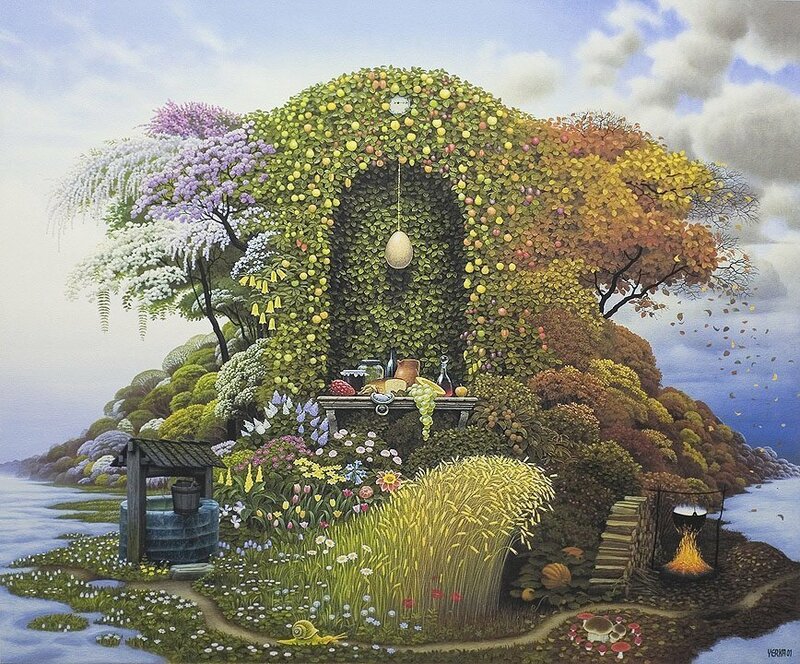 This is the happiest years of my childhood, filled with magic of the world. 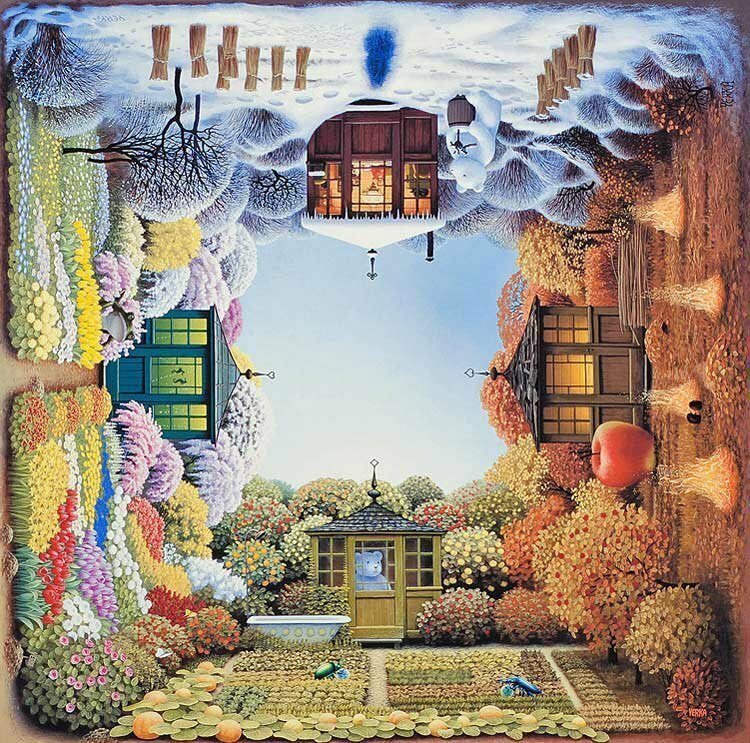 In my work this is reflected in the buildings, furniture and a variety of pre-war trinkets. 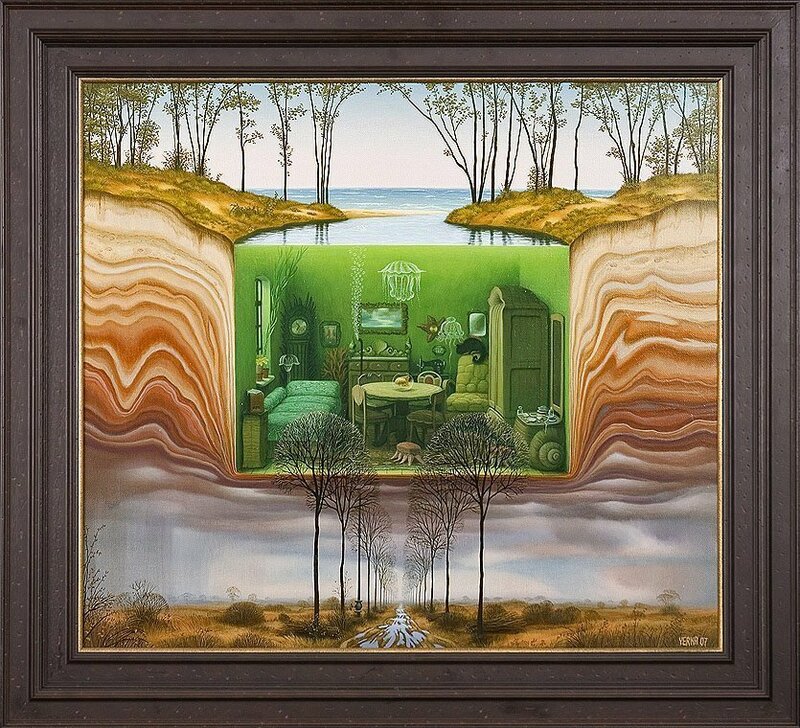 If I needed to draw a computer, I would definitely put the pre-war aesthetic to it" @- says Jacek. 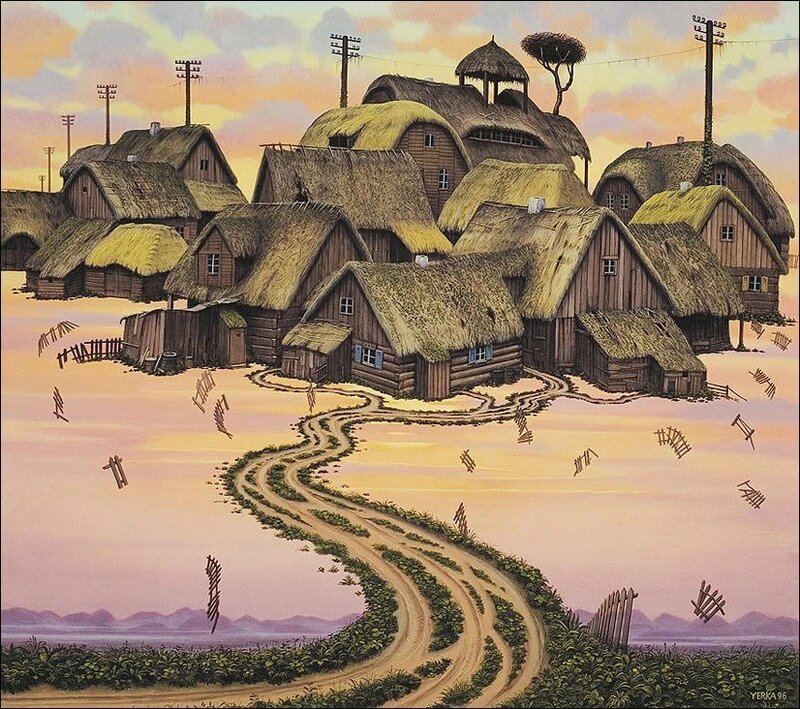 My first painting according to the artist, he wrote before entering College. 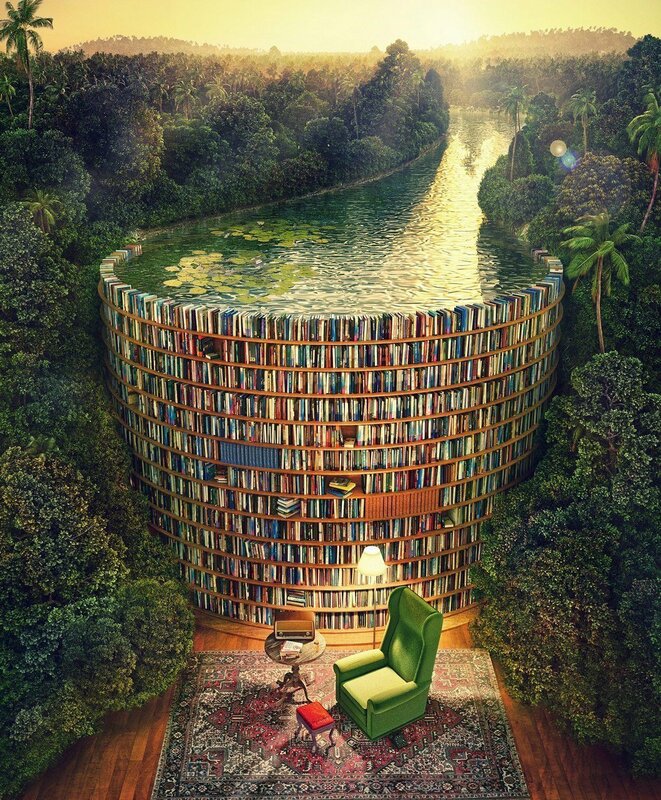 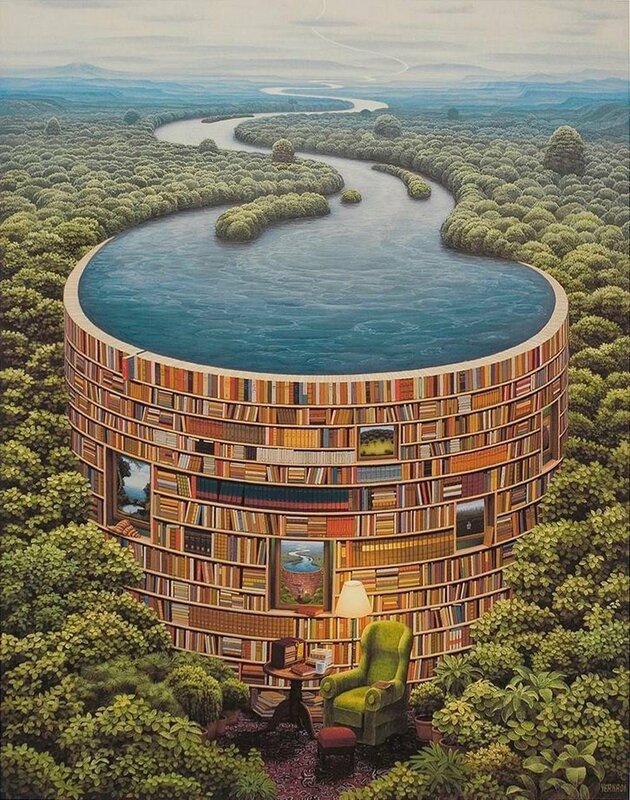 Jacek Yerka studied graphics at the Faculty of Fine Arts at the Nicolaus Copernicus University in toruń. 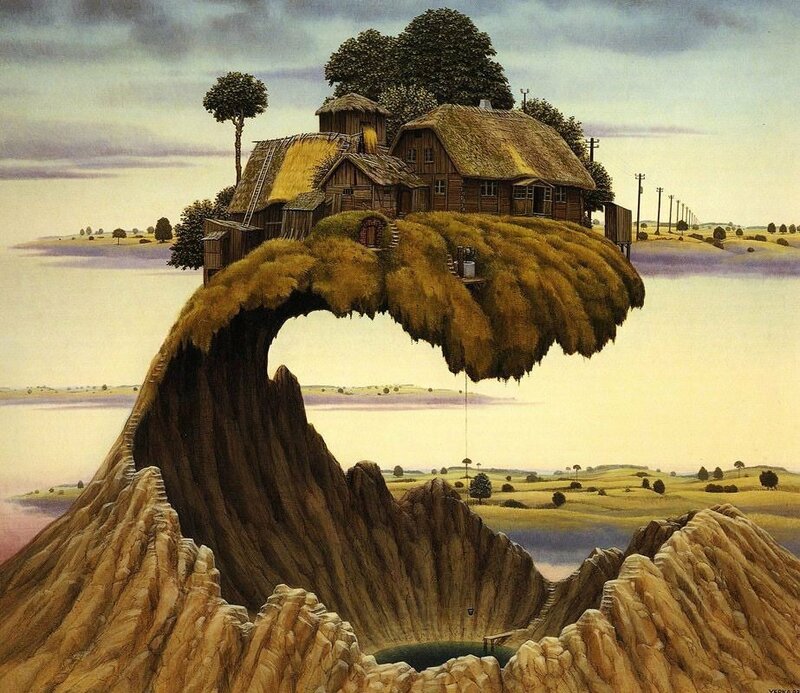 His teachers for some time trying to teach him to paint in more modern abstract, less detailed manner, but the artist saw in this desire of teachers trying to strangle his own style. 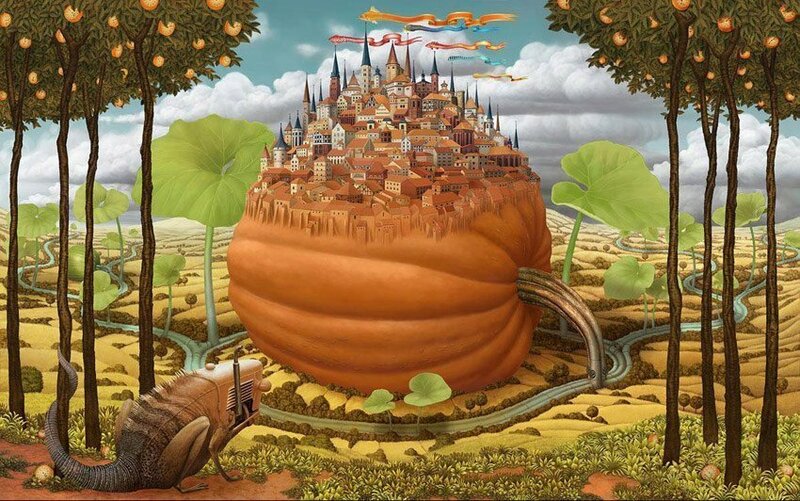 Over time, teachers Jerky left these attempts, seeing an unusual talent of the student. 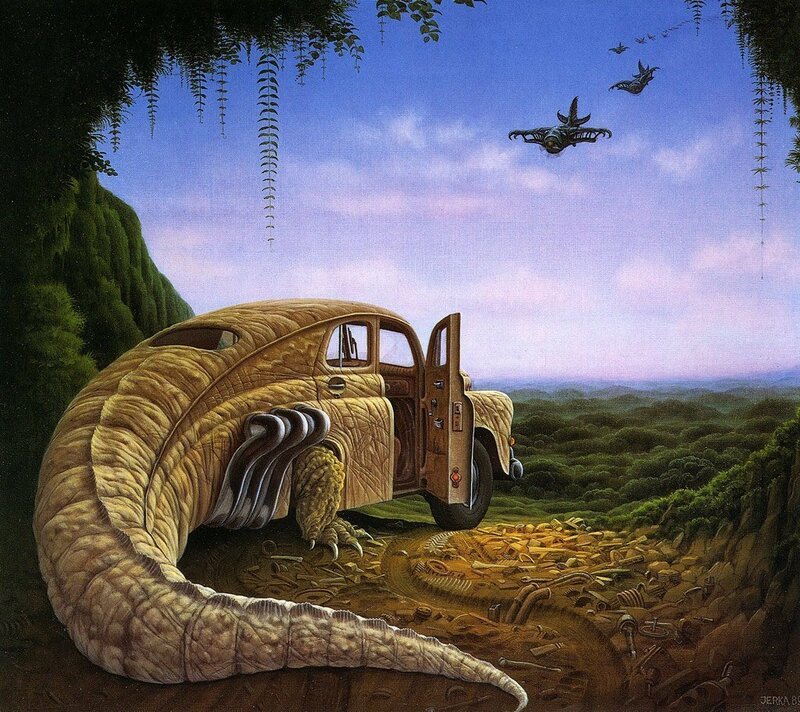 Style of Jacek Jerky critics refer to realistic surrealism and fantasy. 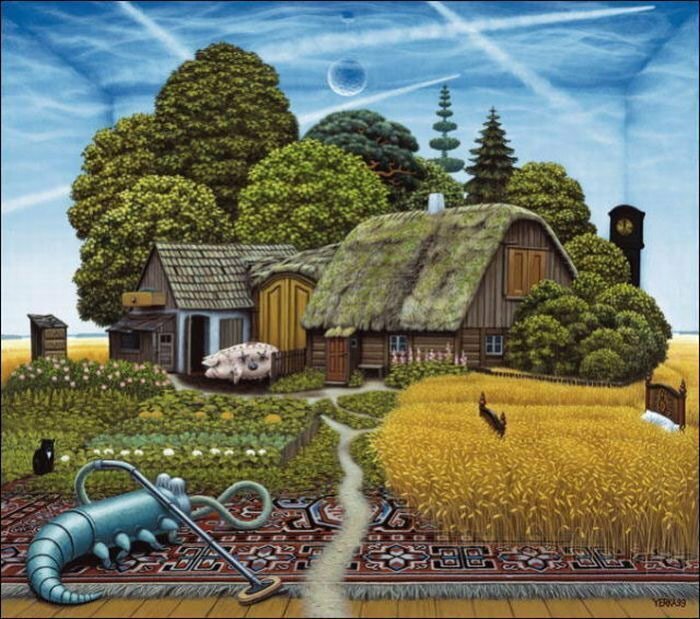 American science fiction writer Harlan Ellison @- Harlan Ellison was so impressed by the work Jerky that specifically wrote 13 new short stories for" Mind Fields" @- first published in 1994 the book works Jerky. 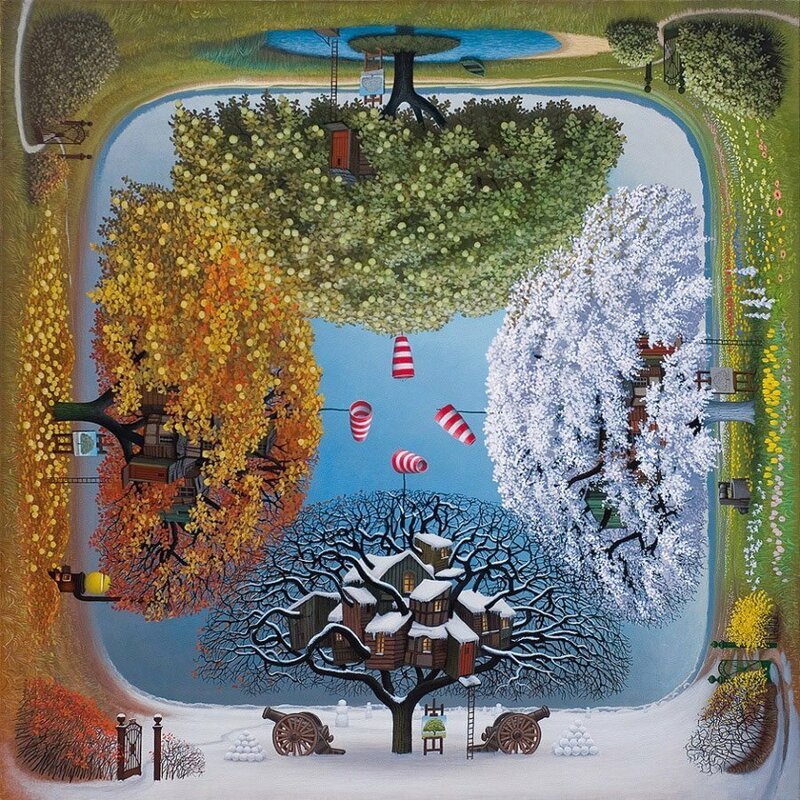 Each story relates to one of the thirty included in" Mind Fields" pictures of this wonderful Polish artist. 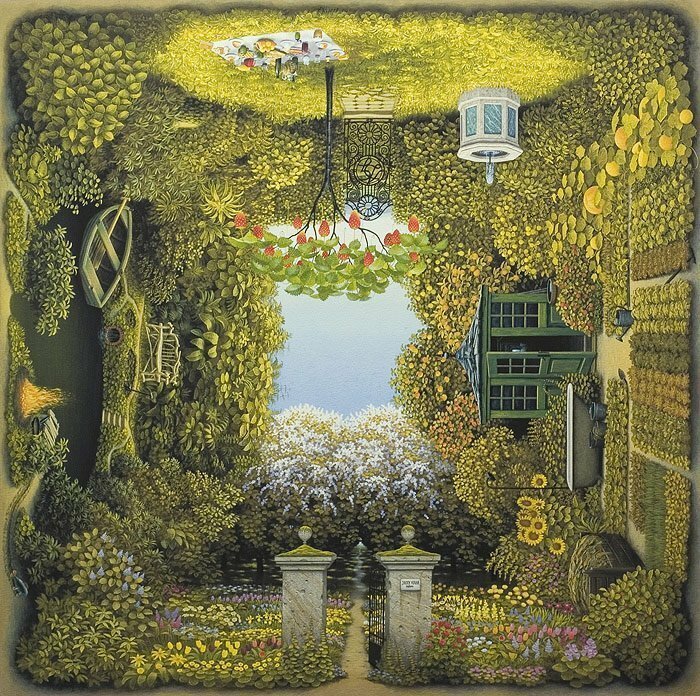 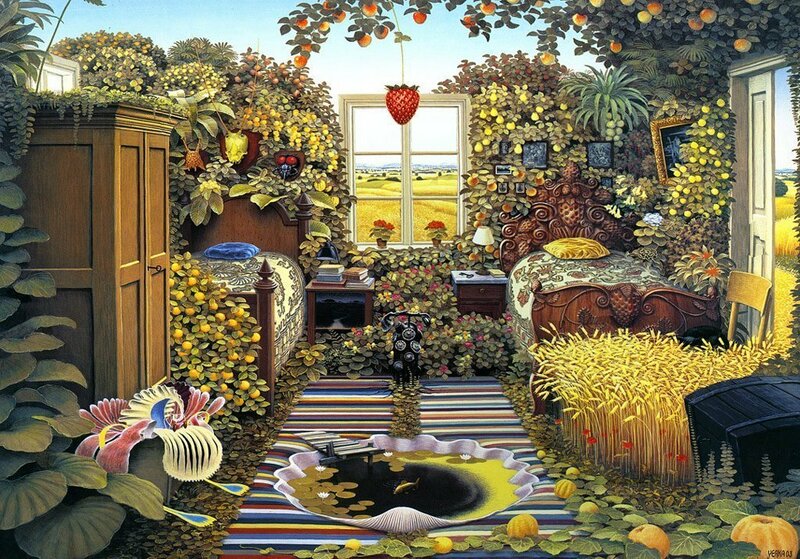 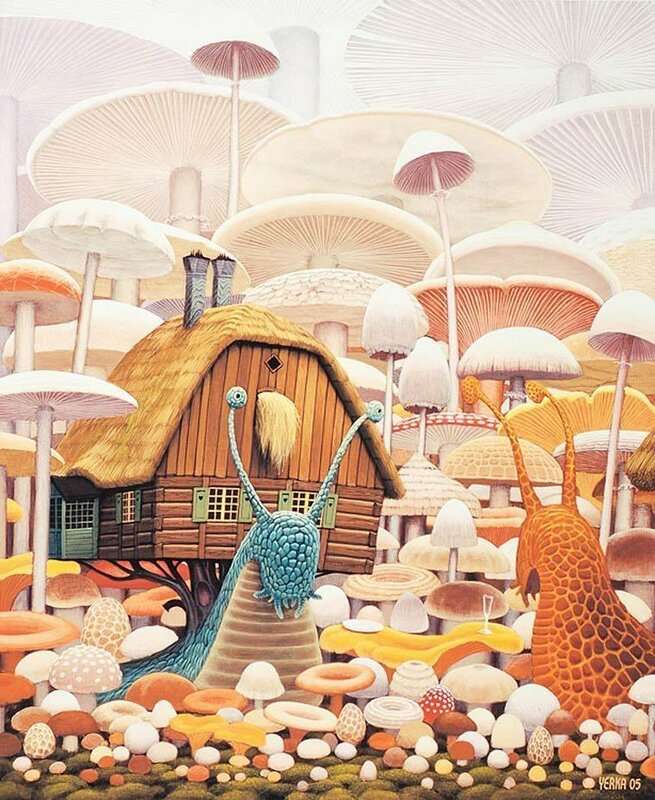 In 1999 he published another book Jacek Jerky" The Fantastic Art of Jacek Yerka" @- portfolio of 21 of the artist"s work. 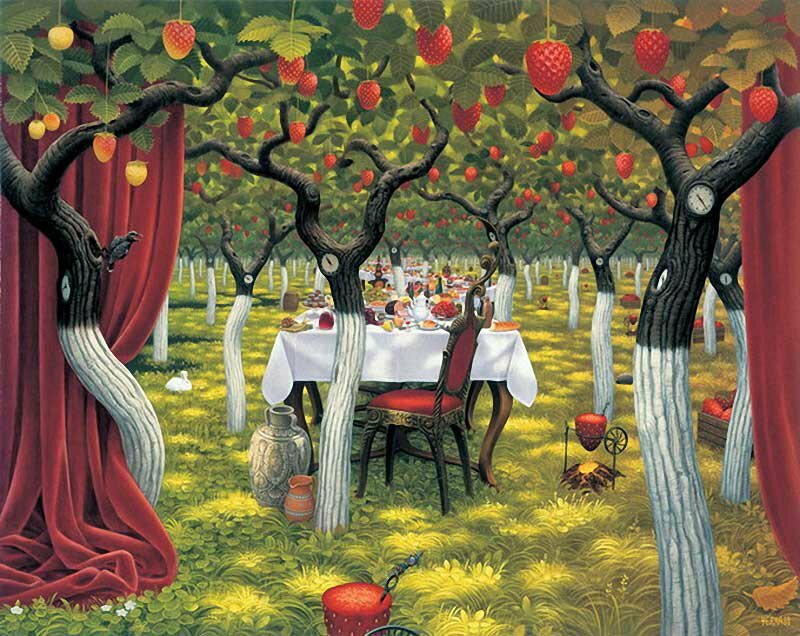 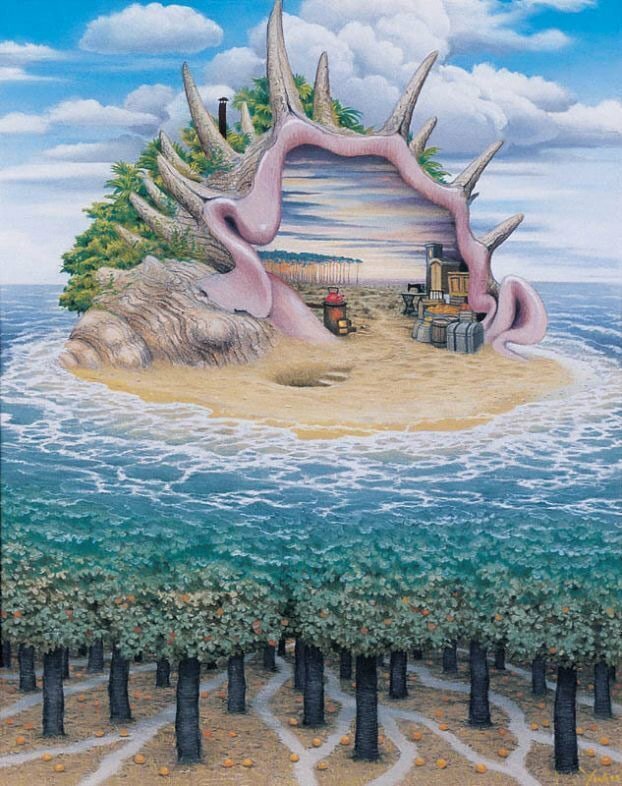 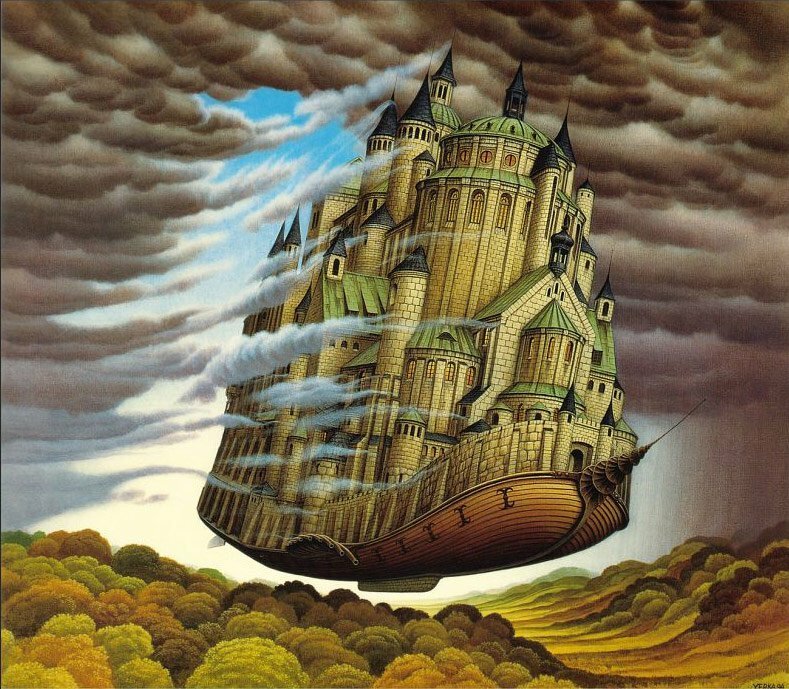 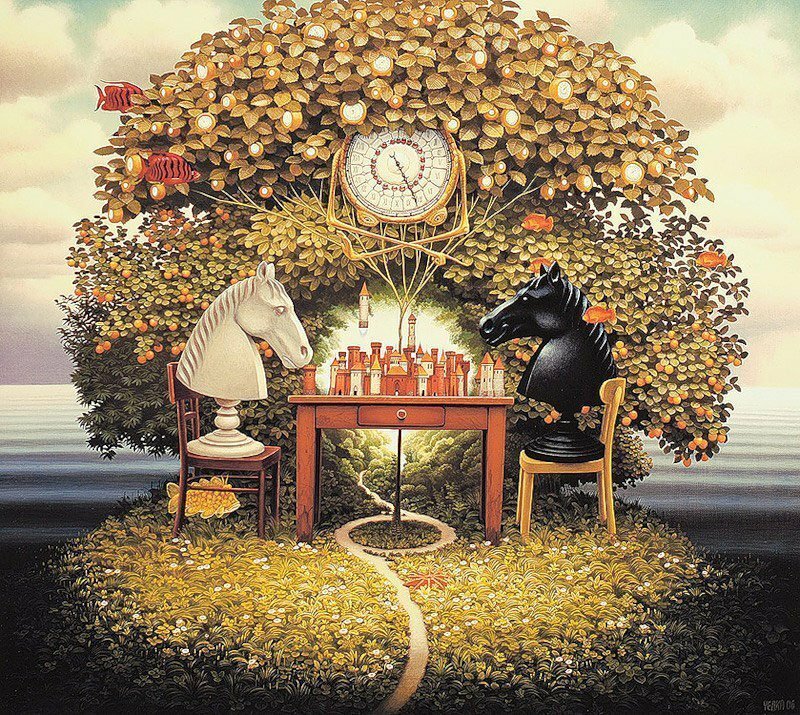 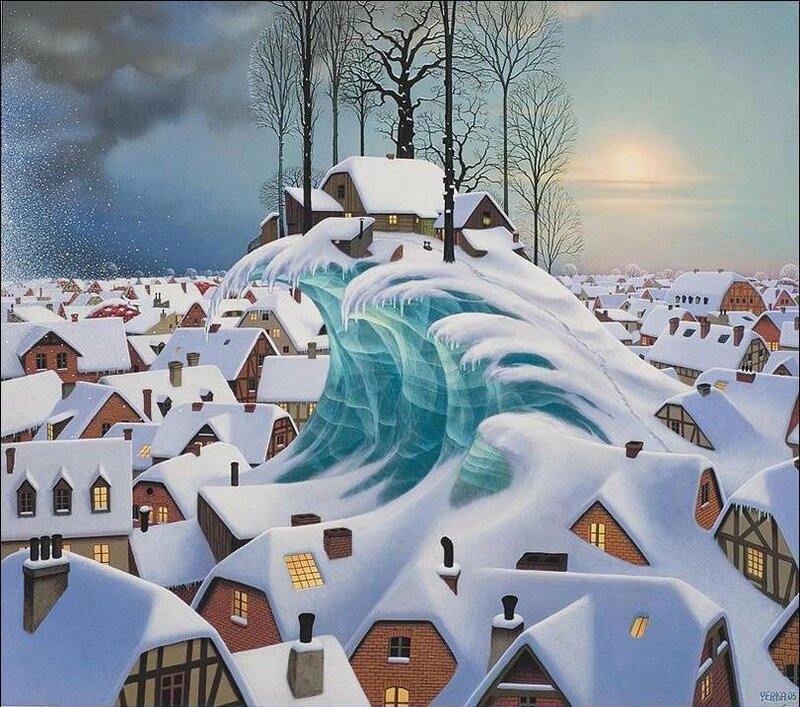 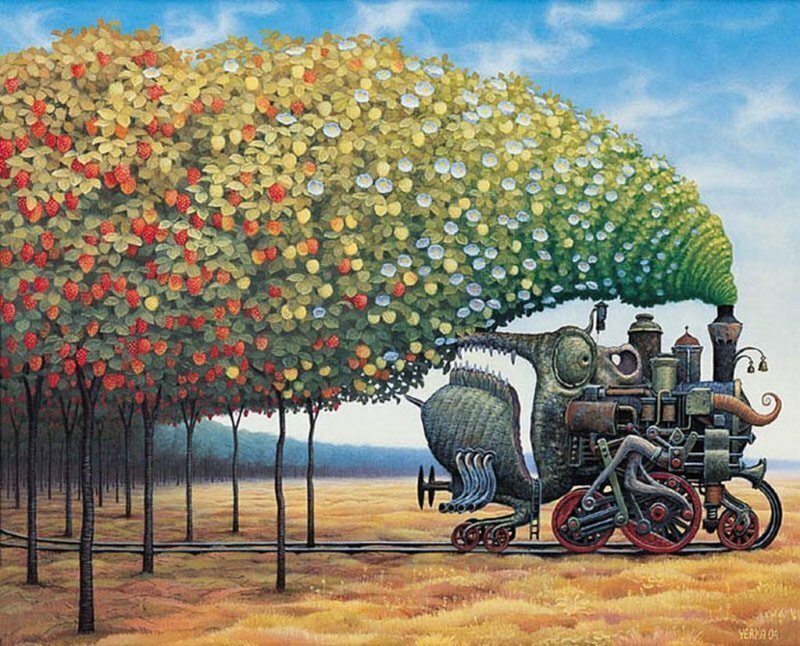 In 1995, Jacek Yerka was awarded the prestigious" World Fantasy Award" the best artist. 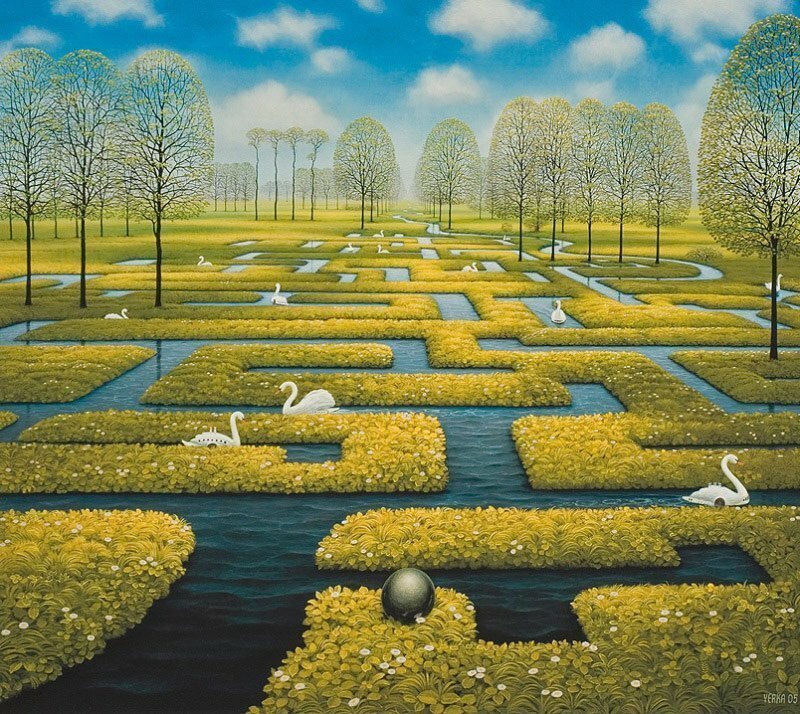 Work Jacek Yerka exhibited in Poland, Germany, France, Monaco and the United States and are in many collections around the world.